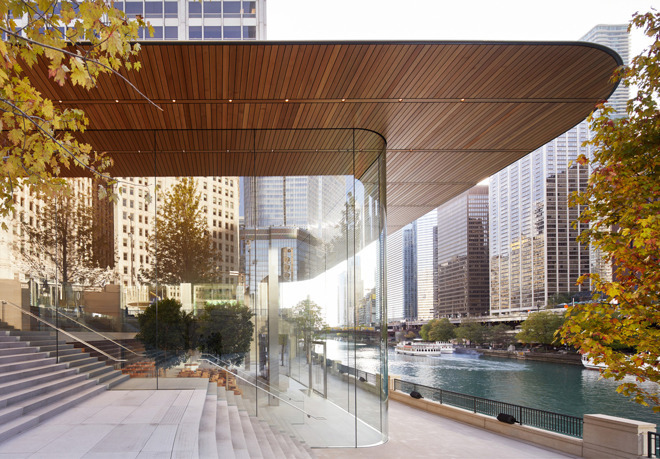 The store's design is intended to "minimize the boundary between the city and the Chicago River," Apple said, and accordingly there are two granite staircases on both sides of the shop. 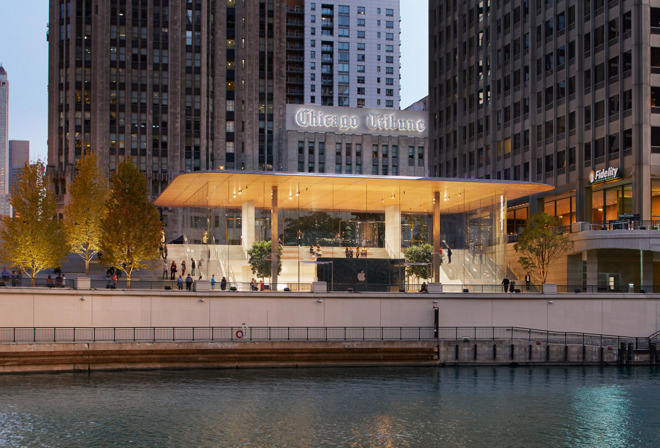 The store itself uses glass facades and just four interior pillars to ensure shoppers can see the river. The roof, public knowledge since earlier this year, is built with carbon fiber in order to be as light as possible, presumably in order to allow its minimalist support structures. 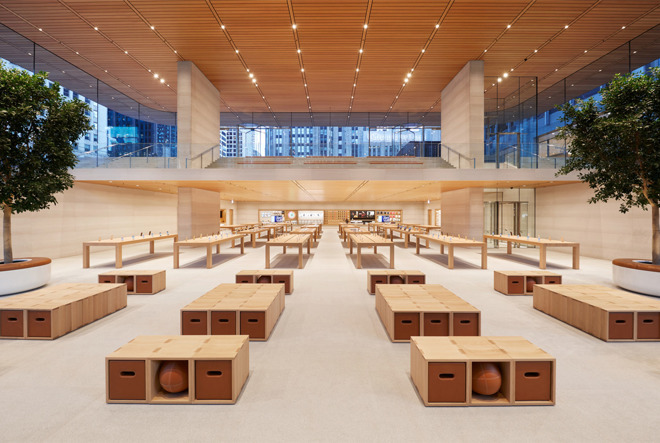 The interior sports many of the design traits of recent flagship Apple stores, including trees, wooden shelving tailored after fashion shops, and a large events area with seating. The Chicago Series begins on Monday and will consist of five programs over the next four weeks, crafted with the help of local non-profit and creative organizations. These include "Accelerate Your Startup Idea with 1871," "Create Collaborative Art," "Prototype a Civic App with BLUE 1647," "Photograph Chicago with VSCO," and finally "Cultivate Your Voice with Young Chicago Authors," which despite its name will focus on music and graffiti as well as poetry. Three of the events —"Accelerate Your Startup Idea," "Prototype a Civic App," and "Photograph Chicago" —will have a competitive aspect. A selected startup finalist will get support from both Apple and 1871, while the top civic app developer will get mentorship from Apple and BLUE 1647. The top output from "Photograph Chicago" will be featured in a later Today at Apple program, as well as in VSCO's social media.